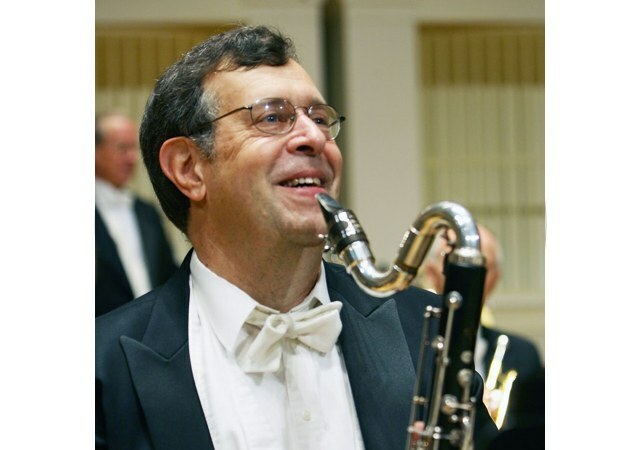 A native Cincinnatian, Ron Aufmann has played bass clarinet with the Cincinnati Symphony Orchestra since 1986. He received his Bachelor of Music and Performer’s Certificate from Indiana University where he was a student of Earl Bates. He also studied bass clarinet with Lawrence Bocaner and taught at the Washington D.C. Youth Orchestra Program. While in Washington he was a member of the Parnassus Wind Quintet, the Contemporary Music Forum, and co-principal clarinetist of the Baltimore Chamber Orchestra. He appears frequently as chamber musician and soloist. In Cincinnati he has premiered such works as Patrice Sciortino’s AS IF for Bass Clarinet and Wind Ensemble with the Cincinnati College-Conservatory of Music’s Wind Symphony and Frank Proto’s Afro-American Fragments for Bass Clarinet, Cello, Bass and Narrator (available on Red Mark CD 9212). He has been on the faculty of the Cincinnati College-Conservatory of Music since 1995 and Northern Kentucky University since 1999.